Each year since 2006, MaxPreps has recognized the top 50 high school boys basketball players in America. Past honorees include NBA stars Bradley Beal (2011), DeMarcus Cousins (2008 and 2009), Anthony Davis (2011), DeMar DeRozan (2008), Kevin Durant (2008), Blake Griffin (2007), James Harden (2007), Kyrie Irving (2010), Kevin Love (2006 and 2007), Derrick Rose (2006 and 2007), D'Angelo Russell (2014), Ben Simmons (2014 and 2015), Karl-Anthony Towns (2014), Kemba Walker (2008) and NCAA AP Player of the Year Zion Williamson (2017 and 2018). See who landed on this year's squad. Selections are based on team success, individual production and local, regional and state honors from the recently-completed season. Potential at the college and professional level is not a primary consideration. Players in post-graduate and non-scholastic programs are not eligible for inclusion. 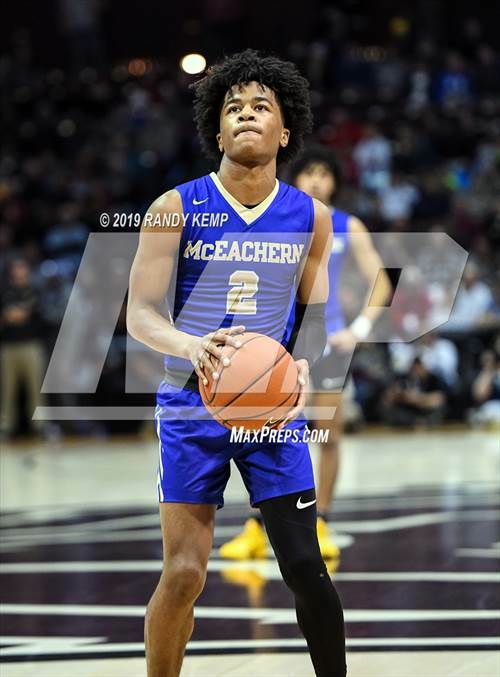 Highlighted by Player of the Year selection Sharife Cooper of McEachern (Powder Springs, Ga.), MaxPreps presents the 2018-19 All-American Team. See the video above for First Team selections. Averaged 30.1 points, 7.8 rebounds and 3.6 assists per game to end his career at San Joaquin Memorial with 2,291 career points. The No. 2 player in the junior class announced his transfer to Prolific Prep (Napa, Calif.). Texas Gatorade Player of the Year averaged 32.4 points, 9.5 rebounds, 6.2 assists and three steals per game. Speculation mounts Hampton may reclassify to join the senior class as the 5-star sits at 2,854 career points. Atlanta Journal Constitution's all-classification Georgia co-MVP made an impact that goes much deeper than the box score in McEachern's state title run. 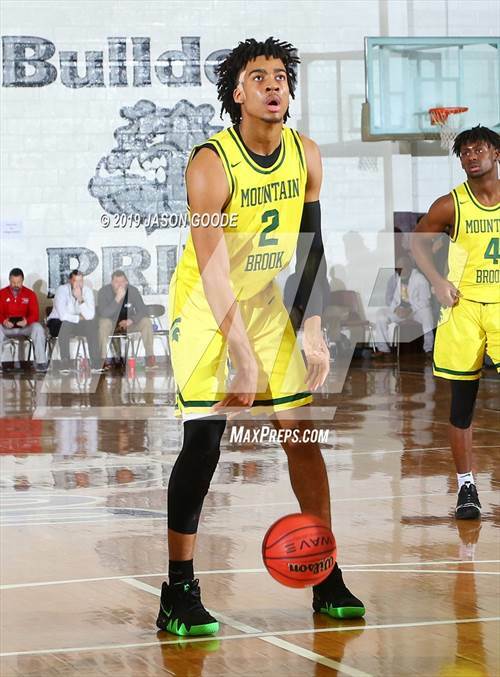 The Auburn signee averaged 19.7 points, 10.6 rebounds, 3.2 assists and 2.7 steals per game, while playing the role of lock-down defender to earn the billing of best two-way player in high school hoops. Averaged 18.1 points, 11.3 rebounds and 2.9 blocks per game for the GEICO Nationals finalist. Stewart led No. 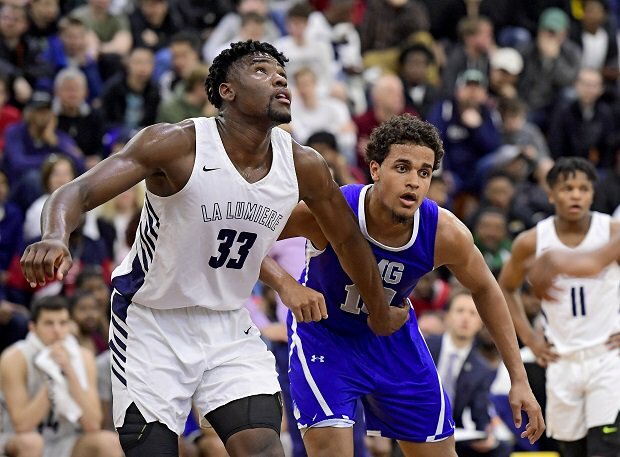 3 La Lumiere (30-1) to one of its most successful seasons as the Lakers made their third GEICO Nationals finals appearance in the last four years. Averaged 23.7 points, 11.8 rebounds, 3.6 assists and 2.5 blocks per game to lead No. 5 Mountain Brook (31-3) to its third consecutive AHSAA Class 7A state title. Watford ends prolific high school career with 3,783 points and 1,909 rebounds (Alabama record for most rebounds in a career). Despite missing a handful of games due to injury, Anthony played at a high level, averaging 18 points, 9.8 rebounds and 9.5 assists per outing while leading No. 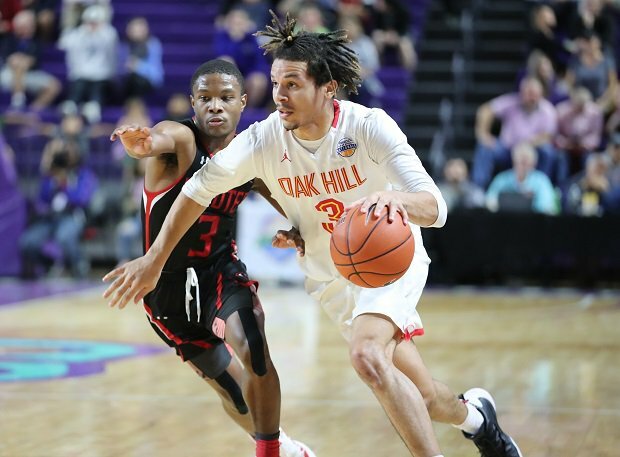 12 Oak Hill Academy to a 31-5 record. The catalyst for No. 4 Montverde Academy (22-3) filled the stat sheet with 11.4 points, 5.7 rebounds and 5.5 assists per game. 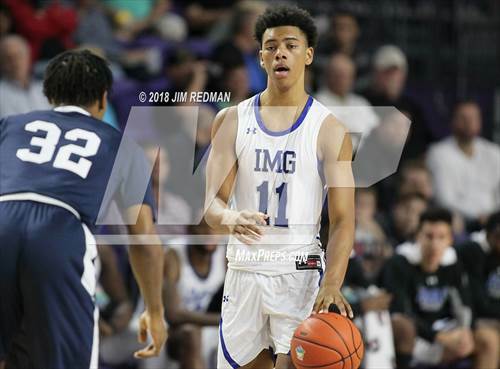 Cunningham impacted the game and played dominant in big games — highlighted by 26 points, 11 assists and seven rebounds in a 25-point win against top-ranked senior guard Cole Anthony and Oak Hill Academy. Highest ranked unsigned big man averaged 37.4 points and 12.4 rebounds per game to earn Minnesota AP Player of the Year honors. Finished career with 3,819 points to become Minnesota's all-time large schools leading scorer. Wisconsin Associated Press Player of the Year led No. 9 Knights (27-1) to program's first state title, posting 20 points and 20 rebounds in the state championship game. Johnson averaged 19.7 points, 11.7 rebounds and 5.9 rebounds per contest. 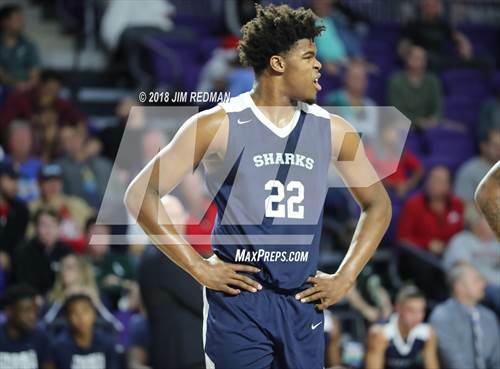 Junior big man with limitless potential averaged 19 points, 12 rebounds and 4.7 blocks per game to lead Rancho Christian (25-6) to a Top 25 ranking for much of the season, before an early postseason exit. NJ.com Player of the Year guided No. 7 Ranney (31-3) to first New Jersey Tournament of Champions title, averaging a team-high 21.6 points per game this season to push career total to 2,499 points. Michigan Division 1 Associated Press Player of the Year averaged 28.5 points and 10.2 rebounds per game during a phenomenal freshman campaign. 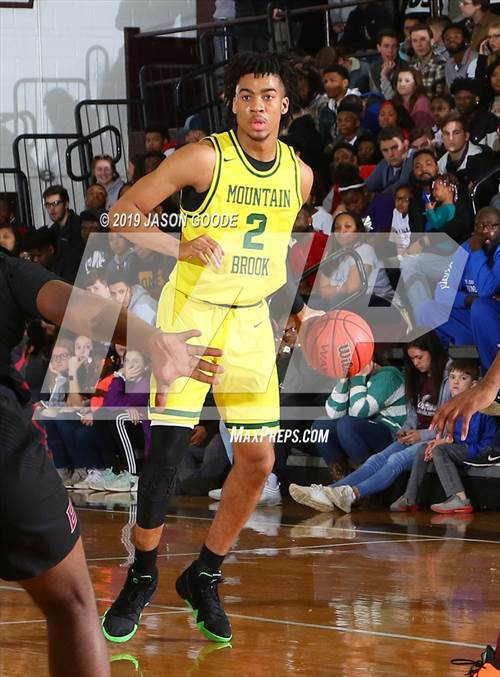 Showed why he may be the top prospect regardless of class, leading Lincoln (23-4) to the program's first state championship with a game-high 23 points in the title contest. Versatile big man averaged 21.5 points and nine rebounds per contest for the back-to-back FHSAA Class 5A state champions. Carey led No. 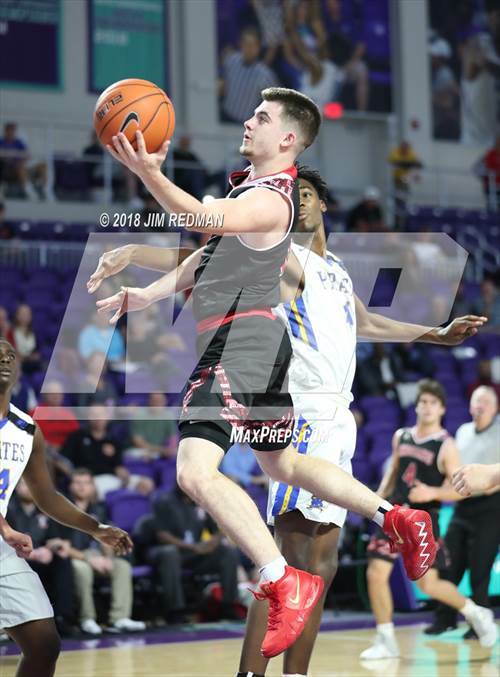 13 Sharks (27-5) back to GEICO Nationals appearances where he posted 15 points and 11 rebounds in an impressive outing against Montverde Academy in his final high school game. No. 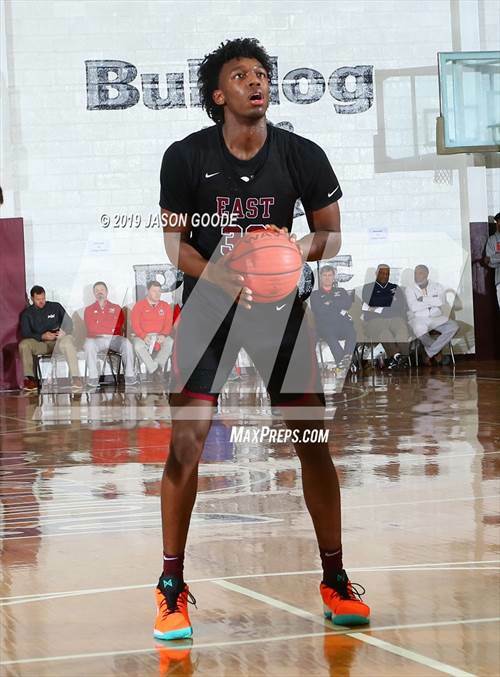 2 ranked prospect in the Class of 2019 according to 247sports, Edwards averaged 29 points, nine rebounds and two assists per game against stiff national competition. Cougars struggled to find traction, finishing the season with a 17-18 record and losing in the state title game. 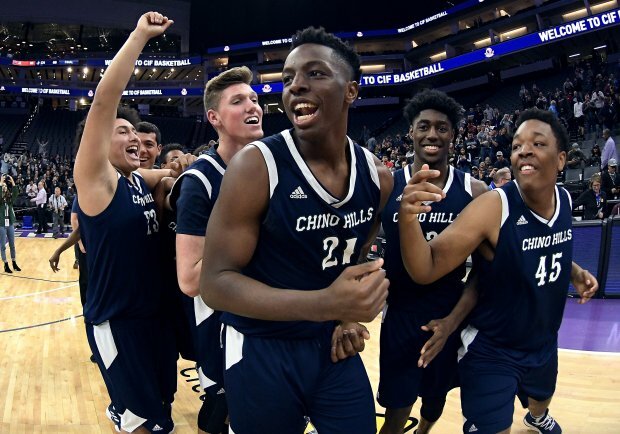 Okongwu capped his incredible career by leading Chino Hills (25-10) to third state championship in four years, averaging 27 points, 11 rebounds, 4.3 blocks and four assists per outing. As a freshman, he started on the Chino Hills group that finished 35-0 and were crowned national champions. Highly coveted unsigned forward led No. 4 Eagles in scoring and rebounding, averaging 14 points and 7.2 rebounds per contest. 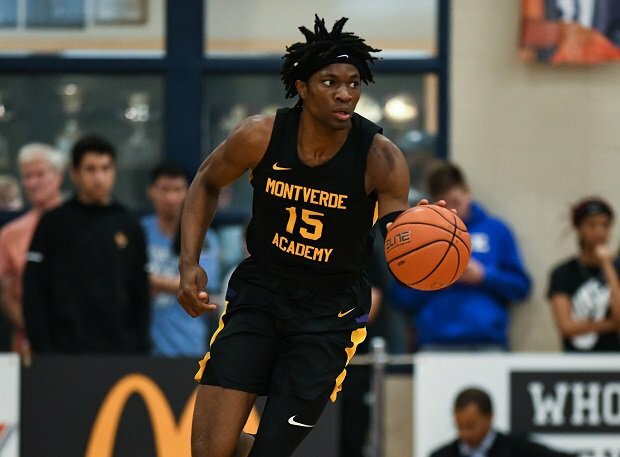 Achiuwa tallied a game-high 22 points and nine rebounds in the McDonald's All-American game. Although 18-10 Cyclones and James fell short of fourth consecutive state championship, the 5-star guard put up gaudy numbers — averaging 29.1 points per game, 12.4 rebounds, 5.3 blocks and 4.9 assists per game. Repeated as Illinois Mr. Basketball after leading No. 19 Maroons (34-4) to second consecutive IHSA Class 4A state championship. The future Buckeye averaged 20.2 points, 9.3 rebounds, 3.9 blocks and 3.3 assists per contest. Averaged 22.2 points, 6.3 rebounds and 3.6 assists per game to lead Colonels (30-7) to the UIL Class 6A state quarterfinals. Associated Press Washington all-classification Player of the Year guided No. 22 Gonzaga Prep (25-2) to its second straight WIAA Class 4A state title, averaging 21.6 points, 7.1 rebounds and 3.6 assists per contest. Watson ended his career at Gonzaga Prep 102-6 in his four years. 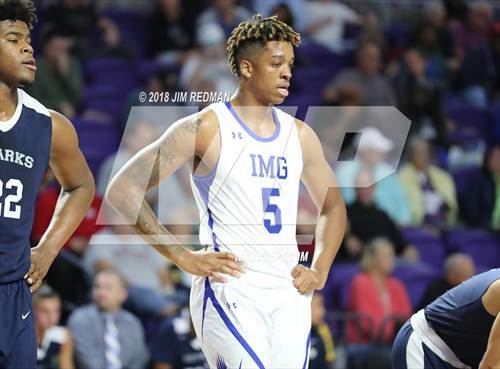 Averaged 14.5 points and 9.1 rebounds per game for the Ascenders, while providing a defensive anchor against elite big men for the National Champions. Back-to-back American-Statesman All-Central Texas Player of the Year averaged nearly 25 points and 13 rebounds per game this year. 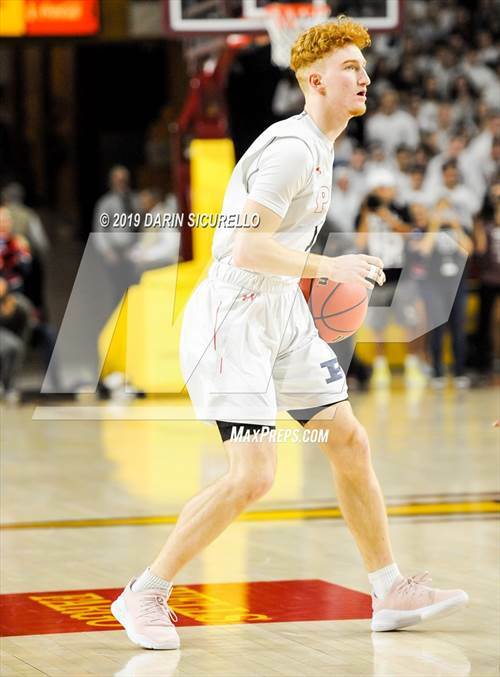 Baker led Chaparrals (33-4) to the regional quarterfinals before they were eliminated from advancing in the state tournament with their 7-footer sidelined due to a thumb injury. Did his best Russell Westbrook impersonation this season, averaging 21.9 points, 10.2 assists, 10.2 rebounds and 3.6 steals per game. Beekman led Hornets (35-2) to third consecutive state title. Five-star future Wildcat was the leading scorer for No. 3 Lakers (30-1) averaging 20.1 points and 7.5 rebounds per game this season. Co-winner of Iowa Mr. Basketball averaged 24.4 points, 7.6 rebounds and 6.1 assists per game to lead Bettendorf (22-2) to the Class 4A substate final. Philadelphia Enquirer All-Area Player of the Year averaged 27.9 points and 11.6 rebounds per game to lead Abington (28-2) to third consecutive PIAA Class 6A District 1 title. Dixon finished career with 2,454 points, becoming first player in school history to eclipse 2,000 career points. Averaged 16.6 points, 4 rebounds and four assists per game for the Ascenders this season. Produced a game-high 19 points in their GEICO Nationals championship game win. Mississippi Gatorade Player of the Year led Conquistadors (26-8) to a state runner-up finish. Averaged 23.3 points, 12.8 rebounds, 5.6 assists and 2.6 blocks per outing. Led No. 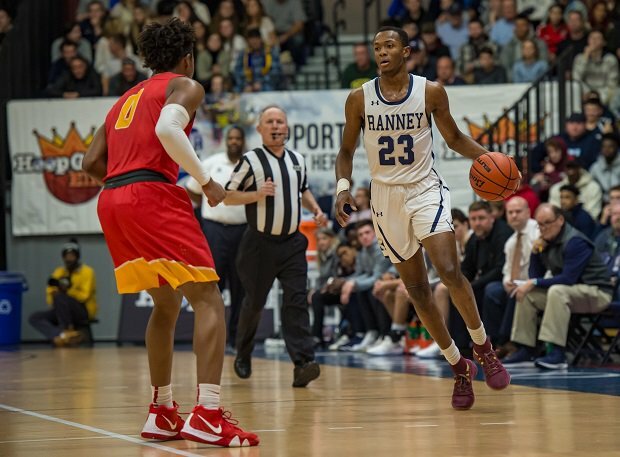 7 Ranney (31-3) to its first New Jersey Tournament of Champions title, averaging 17.5 points, 6.3 rebounds, 3.5 assists and 2.7 steals per contest. The future Gator finished career with 1,874 points. 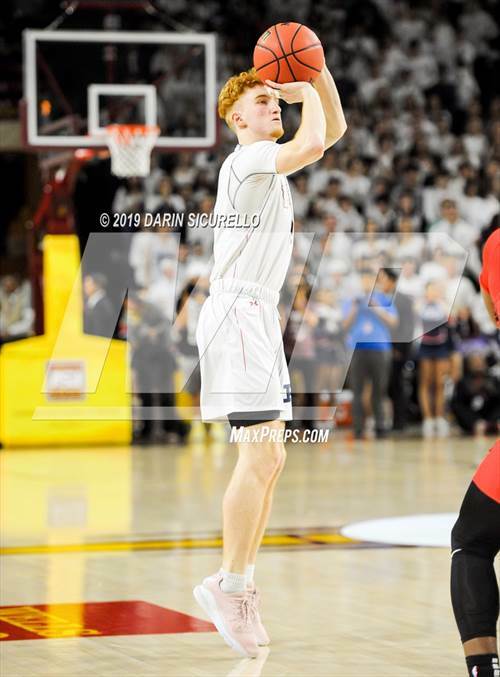 Leading rebounder on the back-to-back CIF Open Division state champions averaged 16.4 points and nine rebounds per contest this season, finishing with 23 points and 12 boards in the state championship game. Top 5 senior prospect averaged 23.3 points, 10 rebounds, four assists and two blocks per outing for WIAA Class 4A state semifinalist Federal Way (26-3). McDaniels ended career with a 107-9 record, winning a state title as a freshman. 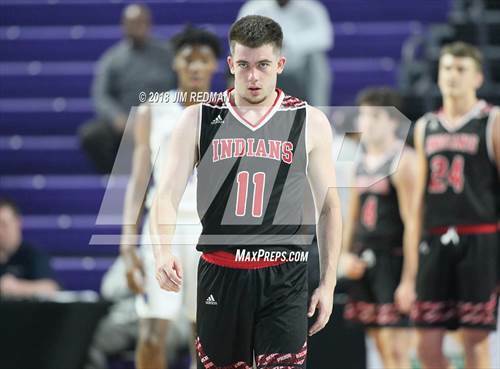 Arkansas Gatorade Player of the Year guided Baptist Prep (30-4) to the Class 3A state quarterfinals averaging 28.9 points, 4.5 rebounds and 4.1 assists per game. Averaged 19.4 points, 13.6 rebounds and 3.8 assists per game to lead Eagles (26-6) to No. 39 spot in the nation in MaxPreps final Top 100 rankings. WCAC Co-Player of the Year led No. 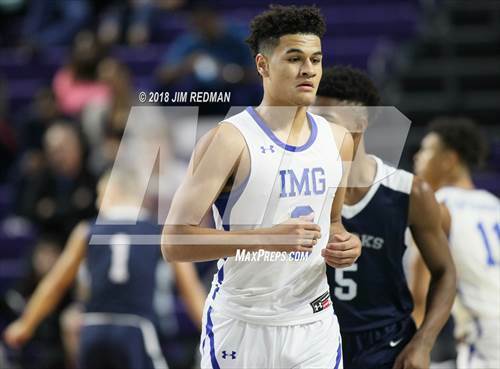 10 DeMatha (33-5) to the WCAC regular season title, averaging 18.2 points, 7.2 rebounds, 4.1 assists and 2 steals per contest against fierce competition. Three-time NCBCA Player of the Year averaged 25.3 points, 8.2 rebounds, 3.6 assists and 2.5 steals per game to lead Cox Mill (28-3) to the state semifinals — falling just short of a third consecutive state championship. Star Tribune Metro Player of the Year averaged 24.1 points and 9.4 rebounds per game to lead Hopkins (27-4) to 10th state title in program history. Athletic senior guard led No. 24 Duncanville (32-7) to its fourth state championship, averaging 18.9 points, 5.2 rebounds and 2.9 assists per contest. 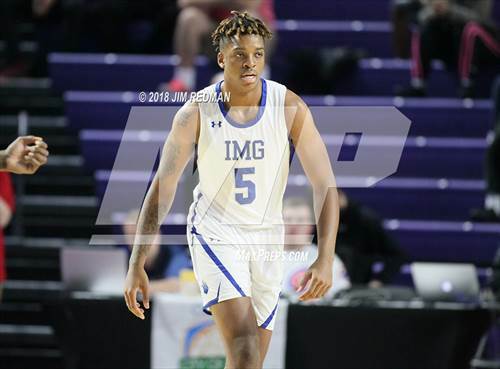 Top 15 class of 2020 prospect averaged 15.6 points, four assists and four rebounds per game for the National Champions, leading the team in scoring in two of its three contests at GEICO Nationals. Leading scorer on the back-to-back CIF Open Division state champions averaged 17.7 points, 6.2 rebounds and 2.9 assists per contest. Sierra Canyon (32-3) finished the season ranked No. 6. 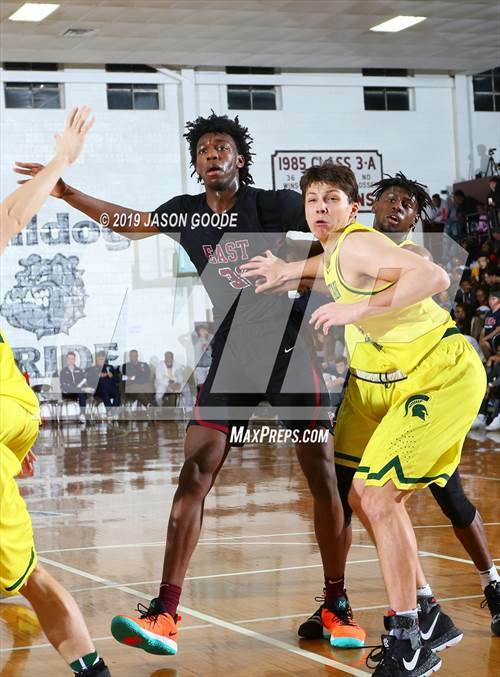 Versatile Class of 2020 big man introduced himself to the Tar Heel State by averaging 28 points, 15 rebounds, 5.4 blocks and 4.3 assists per game in his first year at Trinity Academy (21-12). 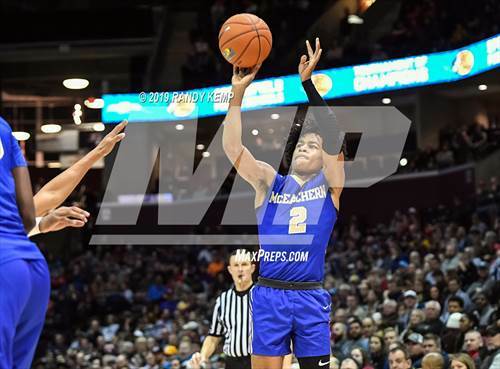 Pennsylvania Gatorade Player of the year led Kennedy Catholic (27-3) to its fourth consecutive state championship, averaging 23.5 points, 15 rebounds and five blocks per contest. FABC Class 9A Player of the Year averaged 15.8 points, 13.8 rebounds and 3.8 blocks per game to lead Pioneers (19-6) to the regional finals. Michigan Mr. Basketball averaged 27.5 points, 11.7 rebounds, 4.1 steals, 3.7 assists and 2.2 blocks per contest. Weems guided Rockets (24-2) to the state quarterfinals, finishing his career with a 99-7 record over his four years. After winning the New Jersey tournament of champions last season, Lions (28-4) fell short this year, losing in the NJSIAA Non-Public B title game. Whitney earned first team All-State honors averaging 18.6 points and 5.4 rebounds per outing. TABC UIL Class 6A All-State selection averaged 25.2 points, 11.1 rebounds and 4.1 assists per game for Yellowjackets (30-7), who finished the season ranked No. 76 in the final top 100.